Easy breakfast,brunch,lunch or dinner maybe, why not :) if you like scallion/green onion you can make easy soft cream cheese spread in a minute or replace green onion with other herbs that you like. 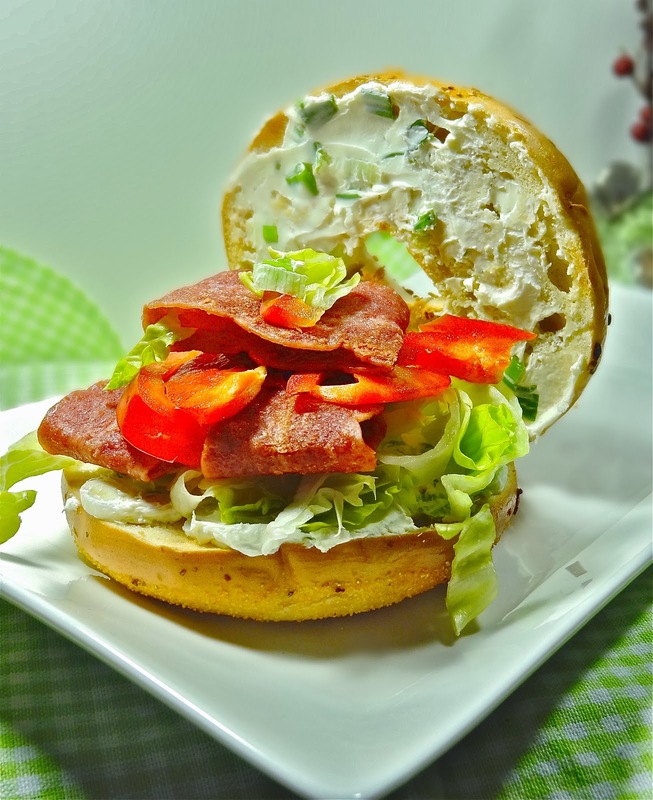 spread cream cheese mixture on bagel and arrange sandwich with any ingredients you like,lettuce, Bell pepper or anything you like on your sandwiches. Turkey is perfect for me too. This is a fabulous sandwich, big, hearty and filling or a small eater like me. I think I will change some of the ingredients, more to suit my Asian taste. I love this cream cheese... it's my favorite. I could really eat that sandwich this second... YUM! Salam Ridwan, use a lot of vegetable, like it. Love how you used a lot of vegetables. Unfortunately bagel is kinda hard to find here in Palembang..
i guess this how i threat my dinner roll later on..